Given a large number of companies migrating their legacy IT infrastructure and applications to the cloud, it is safe to say that the cloud computing market has come a long way in the last few years. The cloud solutions available today are solving a lot of business-related problems across all the industries by allowing the companies to modernize their IT infrastructure, automate their business operations and ensuring the high availability of their applications all across over the world. However, the companies still require the help of managed cloud computing services to help them gain various benefits of the cloud while saving the costs of their cloud computing resources. 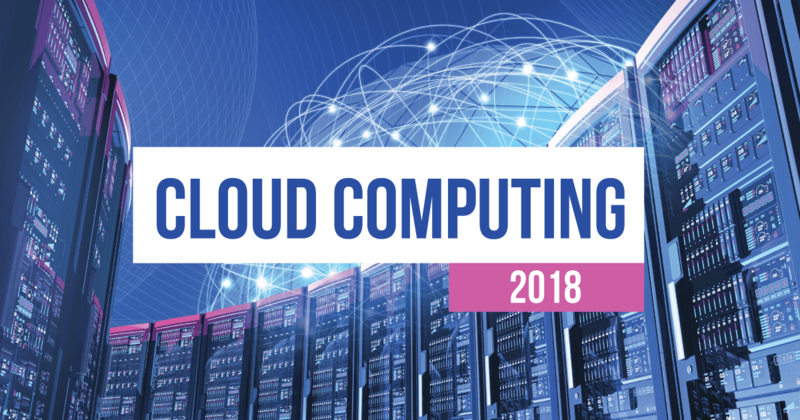 From the shift in IT spending policies of the companies to the increasing dominance of public cloud, hybrid cloud, containers, and instances, to the implementation of the AI in cloud-based IT analytics solutions, this post outlines 15 cloud computing predictions that you need to watch in 2018. In recent years, a large number of companies have shifted their IT spending policies to increase their investment in the cloud. According to a recent Gartner Research Report, the cloud spending will remain a major cause of the shift in IT spending policies of the companies in 2018. So, we will see more and more companies deploying their new IT projects in the cloud in 2018. The public cloud leaders have achieved tremendous growth in last few years. Considering the large number of companies adopting the public cloud platforms (such as AWS, Google Cloud, and Microsoft Azure) in recent years, the cloud solution providers have realized the value of the channel and included a balanced portfolio of all public cloud leaders in their services. The tremendous growth and continuous innovation in the public cloud will force more companies adopting the public cloud in 2018 and this will lead to significant increase in the public cloud adoption rate of companies in 2018. A recent Forrester report states that the total global public cloud market will be $178B in 2018, up from $146B in 2017, and will continue to grow at a 22% compound annual growth rate (CAGR). The leading American market research firm has also predicted that the public cloud platforms, the fastest growing segment, will generate $44 billion in 2018. Also, AWS, Google, and Microsoft will capture 76% of all cloud platform revenue in 2018; 80% by 2020. Hybrid cloud allows the companies to run their applications in a mix of on-premises, private cloud and public cloud with common orchestration and management tools. The introduction of Azure Stack by Microsoft and teaming up of VMware and AWS and Cisco and Google to create a hybrid cloud that helps companies improve operational agility, efficiency and scale will be the main reason behind the increased usage of hybrid cloud by the companies in 2018. The multiple clouds will also become dominant in 2018 with different workloads running in different clouds and being managed separately. As the cloud adoption by the companies increases, the cloud leaders will further segment and optimize their compute instances for improved performance and new use cases. This will lead to the emergence of various application-specific instance types within the clouds in 2018 as the cloud leaders will introduce customized instances which will be optimized for the AI, Big Data, High Network Performance, and Large Memory of applications. Cloud containers are a hot topic in the IT world, especially in terms of security. The isolation boundary provided by the container at the application level (instead of server level) ensures that if anything goes wrong in a container (e.g., excessive consumption of resources by a process), it only affects that individual container and not the whole VM or whole service. Today, almost all companies – no matter big or small – use containers and all the cloud leaders, including AWS, Microsoft Azure, and Google Cloud, provide containers to their customers. The recent launch of Amazon Elastic Container Service for Kubernetes (EKS) by the AWS to is a testimony to the increasing popularity of cloud containers, which will continue to rise in 2018 as well. Serverless computing is far more efficient than the traditional virtualized servers and today’s application containers. Earlier, a unit of an additional computing resource was an instance and VM, for which, you were required to pay – no matter you consume them or not. The biggest benefit of Serverless computing is that it allows you to spin up the additional compute resources and pay for it on a consumption model. The Serverless computing is likely to will gain more momentum in 2018 as the companies who strive for maximum efficiency and cloud cost savings will rely heavily on the Serverless computing. Today, many companies are launching cloud-based IoT applications in the market. While these companies rely heavily on the big data generated by their IoT applications to make better business decisions, they don’t have any good method to mine the big data generated by their IoT applications. So, in 2018, we can expect the cloud leaders to provide cloud-based big data mining solutions to these customers to help them utilize their valuable IoT app data. Today, AI is used in our daily lives. The digital assistants like Siri of Apple, Cortana of Microsoft and Google Assistant – all use AI to provide us information and execute tasks on our voice commands. In 2018, cloud leaders are likely to upgrade AI more tightly into their analytics systems to make them more proactive (instead of reactive) so that they can also automate their response besides giving us actionable information and recommendations. Given the large number of companies migrating their legacy IT systems and applications to the cloud platforms like AWS, Microsoft Azure, and Google Cloud – 2018 will witness a significant increase in the number of cloud migration service providers in the market to provide the companies the IT expertise required for the cloud migration. So, the cloud migration service is a great opportunity for the IT solution providers, especially for those who provide cloud consulting services. The customers seeking cloud migration services are also likely to hire same solution provider to manage their cloud infrastructure and optimize the performance and costs of their cloud assets. The biggest reason behind the ignorance or postponement of adopting cloud technology by the companies is the lack of skills in the cloud technology. As the cloud is still an emerging technology, the shortage of cloud technology experts will continue in 2018 and companies will have to look for an external cloud professional to help them in cloud migration and cloud management. Predicting, optimizing and managing the monthly cloud costs are still the biggest problem faced by companies using the cloud technology. And, the problem is going to become worse as the companies start using multiple cloud platforms to host their applications in future. Since these companies badly need a transparent method to predict, optimize and manage their monthly cloud costs, we can expect the cloud leaders and the third parties to come up with transparent cloud cost management solutions in 2018 to help these companies predict, optimize and manage their monthly cloud costs or bills. While AWS, Google Cloud, and Microsoft Azure are global cloud leaders and first choice of government enterprises and Global 200 companies, the new small and medium businesses will look towards the non-US cloud providers like Alibaba Cloud with interest due to their low costs. So, the non-US cloud providers are likely to get more traction in 2018. You must be aware of the fact that the Alibaba Cloud has already surpassed Google in IaaS revenue. The cloud market has changed dramatically over the last decade as the bigger companies are consolidating their market positions by acquiring smaller companies. We have seen telecoms entering the cloud market through acquisitions. The Verizon acquired Terremark (but later sold it to IBM) to enter the cloud market. The CenturyLink also acquired Orchestrate and ElasticBox. This trend is not only limited to the telecoms but also the bigger cloud providers like Peak 10’s and Green Cloud Technologies, who acquired tier-two cloud companies like ViaWest and Cirrity, respectively, to consolidate their position in the cloud market. The trend of acquisitions will continue in 2018. We have seen the many infamous data breaches incidents of both government offices and private companies because of common cloud misconfigurations. But the bigger cloud data breaches incidents are yet to come in 2018. As the cloud gains popularity, we should be ready to witness bigger incidents of cloud data breaches just because someone from the IT team didn’t configure their cloud settings correctly and the hackers took advantage of their mistake. Since the cloud is still an emerging technology, it urgently requires a different security approach and measures than the traditional on-premise based IT infrastructure. In 2018, the security of the cloud will remain the top concern of the companies using cloud infrastructure and it opens a great opportunity for the cloud solution providers to come up with robust cloud security solution for the customers. In other words, the cloud security solutions will be the most sought-after cloud service after cloud consulting and migration in 2018. Have Any Doubt or Query Related to Cloud? Rapyder Can Help! Whether you have any doubt or query regarding cloud technology or you need a Cloud Consulting, Cloud Migration, Cloud Security, DevOps Automation, or Managed Cloud Service, feel free to call Rapyder Cloud Solutions on +91-073386 86644 today to get professional assistance from a cloud expert.